Tracy Ellyn uses fine art for healing purposes and epilepsy awareness. New formulations for rescue from the off period are coming. From the vagal nerve to the deep brain, neuromodulation provides another treatment option for patients with epilepsy. Ketogenic diets are an effective treatment when used properly with medical supervision and support. Guiding patients through contraceptive choices, prepregnancy planning, and pregnancy improves pregnancy outcomes. Genetic testing is improving diagnostic accuracy and, sometimes, informing treatment decisions. 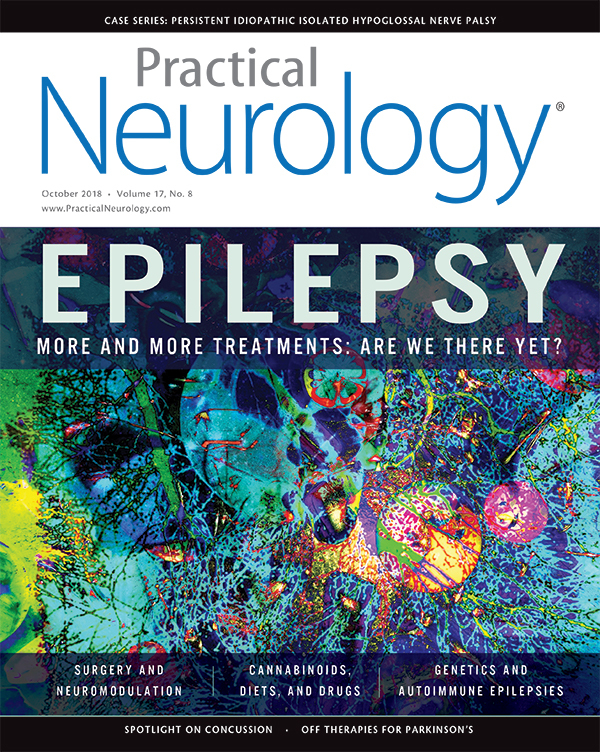 Recent advances improve understanding of etiology, clinical and EEG findings, and clinical management for this category that comprises 20% of pediatric epilepsies. The settlement raises significant professional and ethical concerns for the field and practitioners of neurology. Could this rare condition be related to vascular compression?